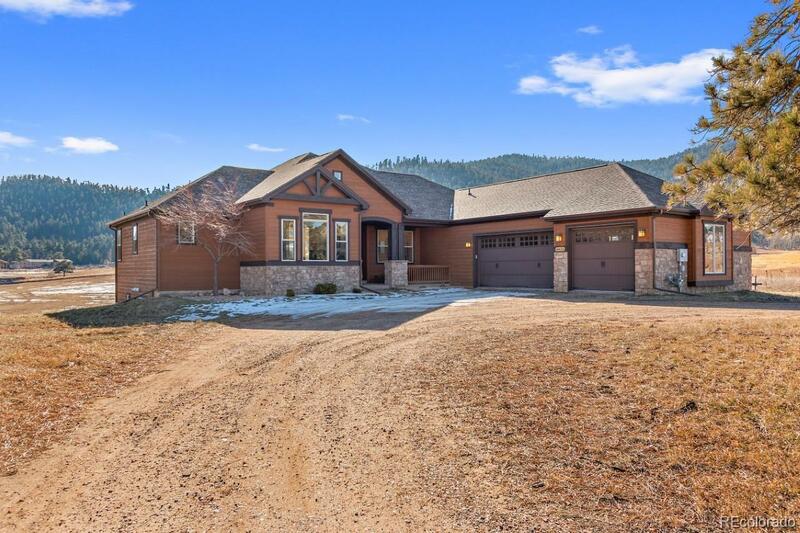 Sweeping mountain views from large south facing windows with a flat usable lot is an extremely rare combination, but here it is. Easy 10 minute commute from 470 and Hampden, gourmet kitchen includes granite slab counters, stainless steel appliances, double convection ovens, large island with seating area, and desk work space. Great room with floor to ceiling rock fireplace. Main level master suite offers fantastic views, master bath with large 6' jetted tub and slate tile throughout. Main level office with french doors. Lower level family room with surround sound, rock fireplace, full wet bar with dishwasher and u-line wine cooler, and a billiard room is adjacent. Large patio with built in outdoor stereo speakers and electric wiring completed for your hot tub. Two 90% high efficiency furnaces for comfort and energy savings. 5 minutes to two open space parks for hiking and biking. Owner is a licensed real estate broker. Builder Name 2: Db Properites, Inc.